NEW YORK -- In Italy, theaters are under real estate pressure; their precious locations and spacious buildings are eagerly sought by developers who try to convert valued cultural assets into commercial buildings. 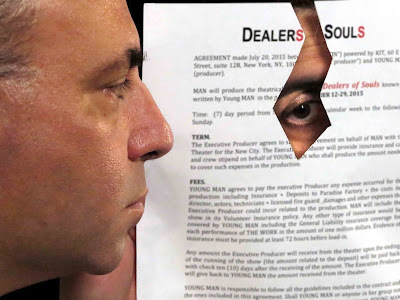 This clash of artistic idealism and commercial opportunism has been dramatized by Italian playwright Alberto Bassetti in "Dealers of Souls," a new play whose American premiere will be presented November 12 to 29 by Theater for the New City in collaboration with Kairos Italy Theatre. It's a supernatural drama in which two men are negotiating the sale of an old theater. The buyer, a clearly corrupt theater entrepreneur, promises to restore it but actually, he intends to turn it into a supermarket. Can his intrigues be stymied by a strange actress who squats in the building, who seems to be part hobo and part phantom of the theater? Can she save the day? Murphy Brown star Candice Bergen is seeing red after sickening cruelty to animals was exposed at a Tyson Foods slaughterhouse. The Emmy- and Golden Globe Award-winning actress has teamed up with the national animal protection group Mercy For Animals in a powerful new video to expose horrific animal abuse uncovered at Tyson Foods—a major chicken supplier to McDonald’s, KFC, Chick-fil-A, and more. 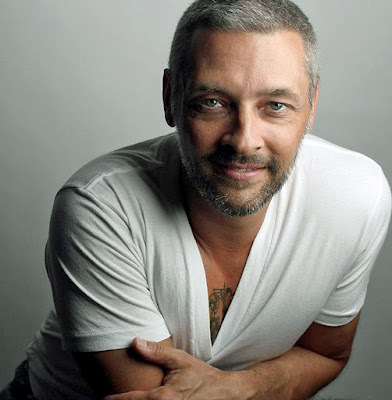 In the shocking video, Bergen makes an impassioned plea for Tyson to stop abusing animals. THE LONG CHRISTMAS DINNER traverses 90 years in the life of a single American family as they gather around the dining room table for a holiday celebration. As generations appear, have children, wither and depart, the patterns of behavior within this comically extended family are revealed as well as the essential values in every generation. Ruth Wilson lit the Empire State Building for Only Make Believe in Honor of Make Believe on Broadway 2015 Gala. Carla Gugino along with Michael Keaton and Naomi Watts were snapped at the 'Spotlight' New York premiere at Ziegfeld Theater in the big apple. The ladies were dressed in pure New York City fashion. Maksim Chemrovskiy and Peta Murgatroyd attended JRDF's 43rd Annual Promise Ball at Cipriani Wall Street in New York City last night. Animal rights activist and philanthropist Jean Shafiroff, along with the SPCA and Rescue Dogs Rock NYC hosted the first New York Mets, World Series "Puppy Parade" ever held in Manhattan featuring rescue and shelter dogs wearing New York Mets pet uniforms, at Shelter Chic located at 79 Chambers St. (near Broadway) in New York City. As the Mets prepare to open the World Series against the Kansas City Royals tonight, a full lineup of Amazin’ animals trotted along city sidewalks with pride, hoping to find a new home while rooting for their hometown Mets. The parade serves to promote pet adoption among New York sports fans and animal lovers on the eve of the Mets first World Series appearance in 15 years. 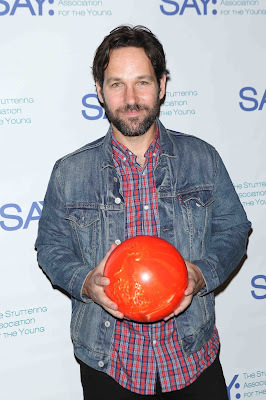 Paul Rudd attended the 4th Annual All-Star Bowling Benefit supporting The Stuttering Association For The Young at Lucky Strike Lanes & Lounge yesterday in New York City. 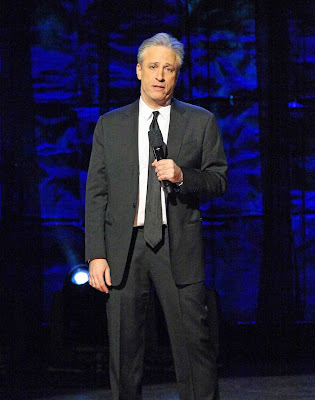 Jon and Tracey Stewart announced that they are partnering with Farm Sanctuary, America’s leading farm animal protection organization, to open the organization’s fourth location at their New Jersey farm. The surprise announcement was made at Farm Sanctuary’s 2015 Gala at the Plaza Hotel in New York City during the couple’s acceptance speech for the Gift of Life Award, which was presented to them for their efforts to promote compassion for farm animals. The glamorous, all-vegan fête was also attended by Jesse Eisenberg, Bellamy Young, Emily Deschanel, Loretta Swit, and Senator Cory Booker. Sienna Miller and Melissa Benoist were snapped at The Late Show With Stephen Colbert in New York City today. The girls look great in pure fall fashion. 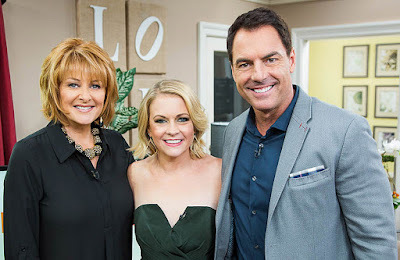 Melissa Joan Hart posed with Home & Family hosts Cristina Ferrare and Mark Steines. Her appearance discussing "God's Not Dead 2" airs Tomorrow October 27. Home & Family airs weekdays at 10 am ET/PT. 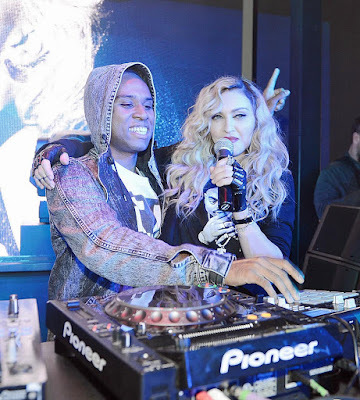 Saturday night at Marquee Nightclub in The Cosmopolitan of Las Vegas, Madonna hosted her Official Rebel Heart Tour After Party. Upon arriving the superstar took to the stage where she danced with DJ Lunice and gave a shout out to the crowd sending the packed nightclub into a frenzy. Madonna and her Rebel Heart Tour dancers then took over The Library inside Marquee where they danced and relaxed post show. 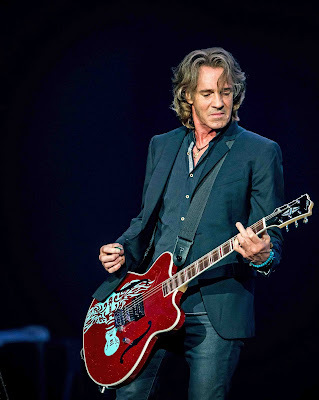 Rick Springfield was in concert at The Joint at the world famed Hard Rock Hotel & Casino in Las Vegas, Nevada yesterday. America Olivio was in fashion at the 2015 Orphaned Starfish Foundation Gala at Cipriani Wall Street the other day in New York City. 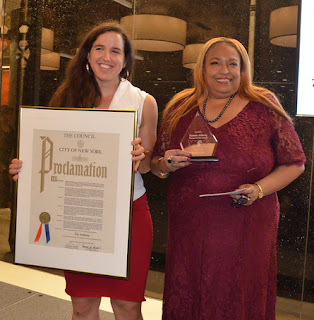 African American Women In Cinema (AAWIC) presented the WES Awards, Women of Excellence Salutes at Morgan Stanley in Times Square. Hosted by veteran WBLS Air Personality, Dr. Bob Lee, the evening honored Laurens Grant, Film Producer, Radio Host/Bestselling Author Flo Anthony, Rosalind McLymont, Executive Editor of The Network Journal and Genevieve Michel-Bryan, VP of Broadcast, Black Enterprise Magazine. For the past 18 years, Founder and President African American Women in Cinema Organization, Inc., Terra Renee has utilized her strong background in filmmaking to serve as a continuous support for the vibrant work of women. Notables who attended included: Philanthropist Jean Shafiroff, Dottie Media Group CEO Claude Stanton, New York City Councilman Jumaane Williams, Dr. Jeff Gardere, Helen Shelton, Shannon Hales, Bravo "Blood Sweat & Heels" Geneva Thomas, Keri D. Singleton, Postpublishing.buzz CEO/Publisher Steven Hoffenberg. Karina Tarsky and Shelley Brooks. 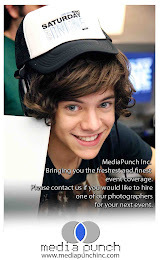 New York celebrated the All Hallow’s Eve early this year at Claire’s Halloween Bash in SoHo. Rumer Willis, Lo Bosworth, Andi Dorfman, Rachel Hilbert, Clare Foley, Kelly Bensimon, Francesca Capaldi, Bridget McGarry, Kristen Taekman, Josh Taekman and family were among the guests who came to celebrate the spooky festivities. Guests had the opportunity to enjoy the Halloween themed stations throughout the venue including performances by the Beat Buds, Face Painting, Sprinkles Cupcake Decorating, Candy Bar, Face Painting, a Temporary Tattoo Bar and more! Rumer Willis enjoyed her day off from Broadway with Claire’s arriving in a very Halloween-appropriate black and white Peter Pan Collar shift dress and enjoyed browsing through accessories, applying temporary tattoos, and mingling with the miniature guests. Ashley Greene was snapped at a nail salon in Beverly Hills, California on Friday afternoon. Now we know how Ashley keeps those feet so sweet! The entire cast of Amazon Prime’s “Gortimer Gibbon’s Life on Normal Street” partnered with Red Eye Organization to throw a special Fall Dun Day for inner city children from the Watts Housing Projects. The day was packed with fun ranging from a petting zoo, balloon artist, ice cream and of course screenings of Amazon Prime’s “Gortimer Gibbon’s Life on Normal Street”. Celebs Zendaya, Jaime King, Selma Blair, Sara and Erin Foster, “Blackish” star Yara Shahidi, ”Kelli Berglund from Disney’s “Lab Rats”, Actor J.J. Totah, Katherine McNamara from “Maze Runner: Scorch Trials”, China Anne McClain from "A.N.T. Farm", Monty Geer from "Awkward”, Actress Ryan Newman, Pierson Fode from “The Bold and the Beautiful”, Kaitlyn Dever from “Last Man Standing” and many more! 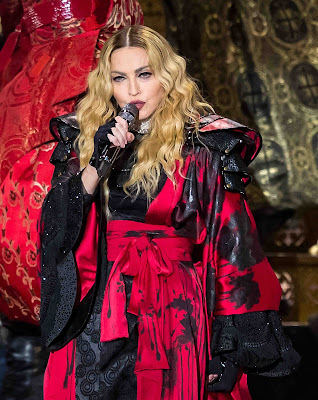 Madonna performed at the MGM Grand Garden Arena at MGM Grand Resort in Las Vegas, Nevada last night to a sellout crowd. This superstar really knows how to put on a show! 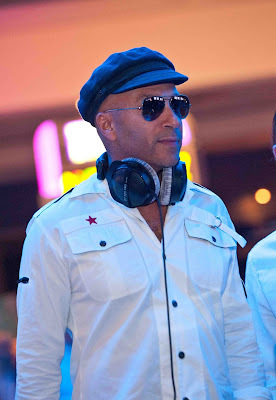 Tom Morello played a DJ set as DJ Comandante at The Center Bar at the Hard Rock Hotel & Casino in Las Vegas, Nevada yesterday. 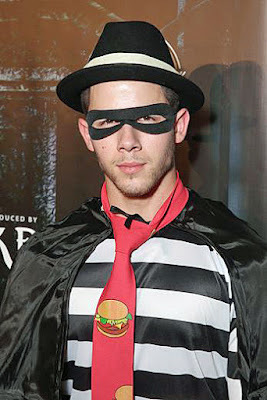 Nick Jonas, Cheryl Burke, Peta Murgatroyd, and Karrueche Tran attended the Maxim Halloween Party in Beverly Hills, California, where they sipped on Ardbeg Whisky cocktails in the VIP lounge. Dancing With The Stars co-stars Peta Murgatroyd and Cheryl Burke showed off their best moves on the dance floor before grabbing an Ardbeg Whisky cocktail. Nick Jonas spent a night away from rumored girlfriend Kate Hudson to sing his top hits to the crowd. Model Karrueche Tran caught up with friends in the VIP lounge where Ardbeg Whisky was served. J Balvin and Becky G. were in concert at The Joint at the famed Hard Rock Hotel & Casino in Las Vegas, Nevada last night. Her new collection is an homage to the works of famed artist Salvador Dali, with whom she established a friendship with while she lived in Paris. Jackie who started as a menswear designer at the suggestion of Chanel was inspired by Dali’s works and Rogers uses the artistic motif and iconography in the collection coupled with sumptuous fabrics including gabardine, lamé and silk chiffon to create these unique looks. In addition, the new collection features an expansion of her burlap jackets, which she tailors to the body and creates beautiful structured designs and expands her use of the fabric into ornate dresses that turned the heads of many at the event. 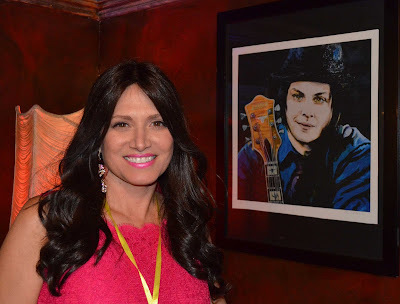 The Angelo David Salon, New York City’s leading luxury hair salon for Couture Hair Extensions and Wigs, partnered with New York radio station 95.5 WPLJ for its inaugural Blow Out Breast Cancer event in honor of Breast Cancer Awareness month. 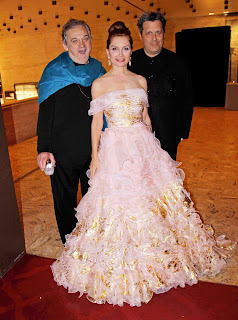 Jean Shafiroff was photographed last night with choreographer Mark Morris and designer Isaac Mizrahi at the American Ballet Theater Gala at the David Koch Theater in New York City. Isaac Mizrahi created the costumes for one of the evenings ballets. Jean's gown is vintage Oscar de la Renta.